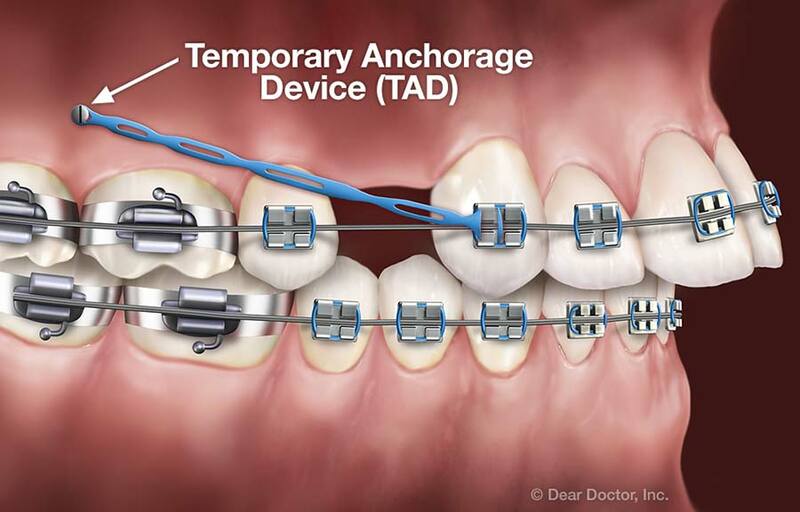 Temporary Anchorage Devices (TADS) are small, screw-like dental implants made of a titanium alloy. As the name implies, they're temporary — they usually remain in place during some months of treatment, and then they are removed. Their function is to provide a stable anchorage — that is, a fixed point around which other things (namely, teeth) can be moved. But why is anchorage so important? While they're in place, TADS require minimal maintenance. Generally, they should be brushed twice daily with a soft toothbrush dipped in an antimicrobial solution. We will give you specific instructions regarding maintenance when your TADS are placed.